Actress Pauley Perrette as a new voice for Lois Lane was the thing that stood out most for me. Voice actors can really make or break a show. I still wince when I hear the boyish pitch of Tony Stark in Avengers: Earth’s Mightiest Heroes. Perrette has a great-sounding voice and delivery cadence that suited the character without sounding too similar to the manic, hyper-caffeinated Abby of NCIS. The Lois personality really comes through with Perrette ably voicing the character. 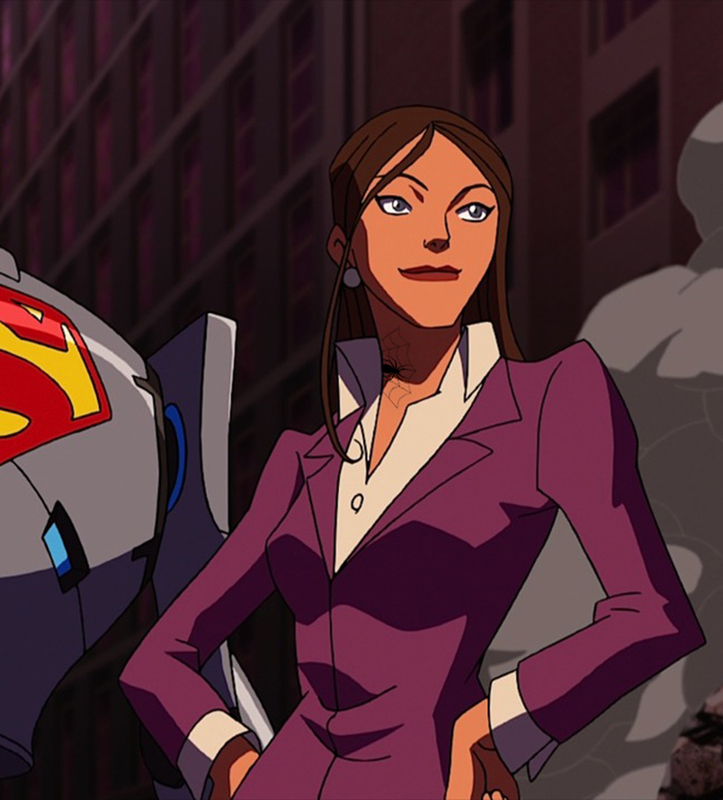 In fact, Perrette was considered so effective as Lois that that as a mark of respect the animators created their own “cross-over event” by copying Perrette’s real spider web neck tattoo onto Lois, thereby making it a part of the DC Universe continuity. That’s just great. 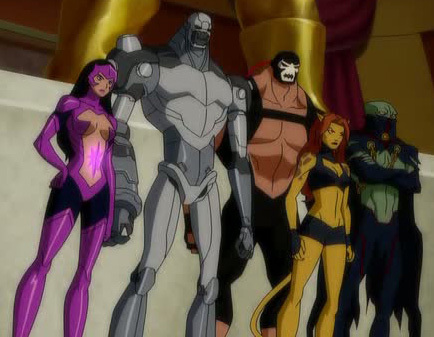 It’s clever using the telepathic link so much in the Young Justice – Invasion animated television series. The link, which I first recall seeing used a lot in the X-Men comic book years back, is a science fiction device that allows covert communication between team members and information dumps. It is used to great effect in the YJ show, more so than in any other media I’ve seen. In X-Men and any number of other similar print and video series once the link was comprehensively Claremonted onto the continuity and back story it was just a given that the characters were using the telepathic link. 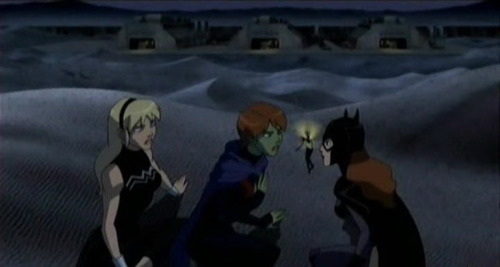 In Young Justice the mental interaction between the characters is integral to the pacing of the show. One of the aspects that is clear about the teen team is that they don’t want to share very much with the adult members of the Justice League. This is very much in keeping with the premise of the show of the junior league chafing at the leadership and their perception that they are together only at the sufferance of the elder heroes. 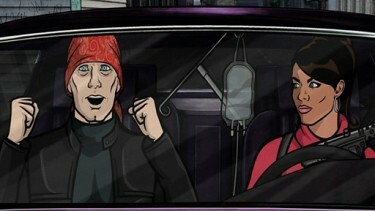 Archer is currently one of my favorite animated shows. 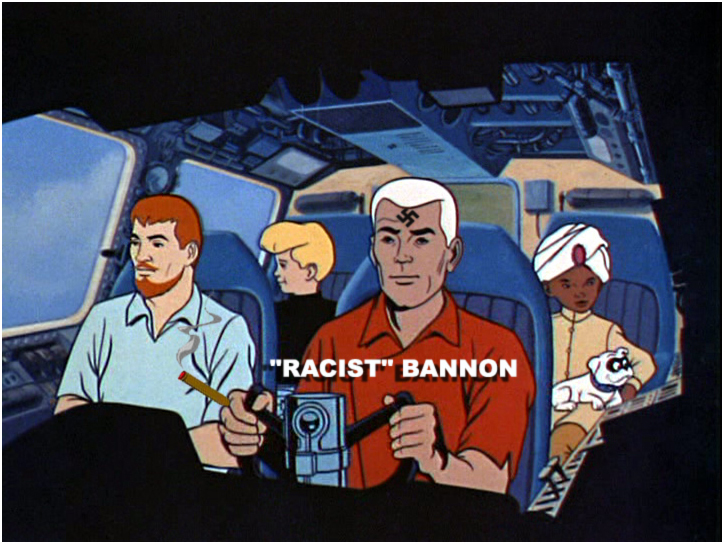 The adventures of Sterling Archer and the dysfunctional spy agency ISIS and the cast of characters is wrong on many levels. The show is obscene, rude and pushes boundaries. The delivery of H. Jon Benjamin, who voices Sterling, is comedic and note perfect. The recent two part episode where Sterling battles breast cancer and goes on a deadly rampage when he discovers his costly, life-saving medication was replaced by sugar and Zima was the funniest television I’ve seen in ages.